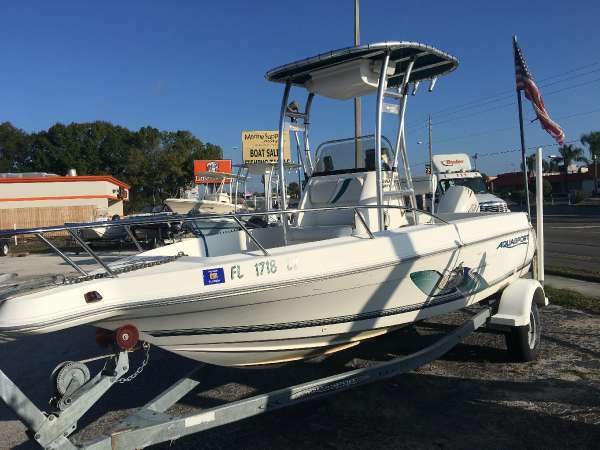 2003 Aquasport 190 Osprey Just got this in on trade turn key ready to roll 2003 evinrude 115 engine perfect compression runs great lowrance 7 GPS /sonar vhf custom ttop with e-box and more come demo this one today she won't last long! 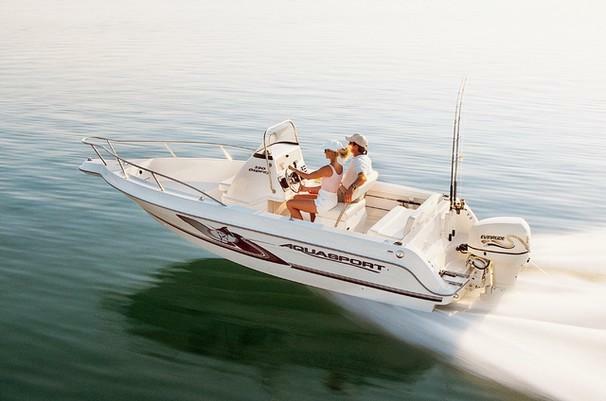 The Aquasport 190 Osprey features a solidly engineered helm with a molded footrest, stainless steel grab bar, windscreen and lockable storage. Rods stay securely tucked away under the gunwale, with horizontal racks to port and starboard. Insulated storage under the forward casting platform keeps things clutter-free. There's also a forward console seat with livewell and raw water pump. 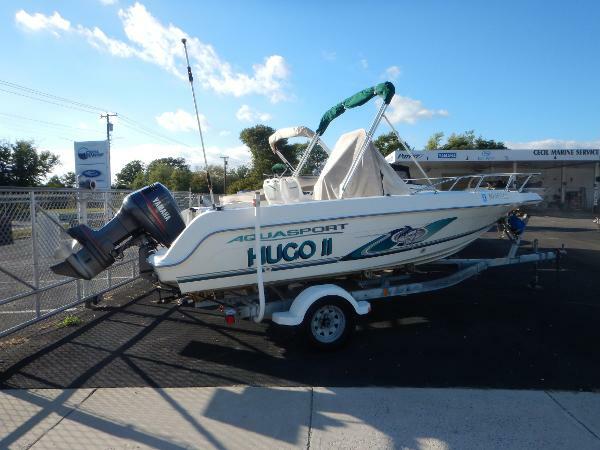 2002 Aquasport 190 Osprey Priced to sell, owner ready for offers... 2002 Aquasport 190 Osprey Reliable single Yamaha 115hp four stroke (451hrs)...Garmin GPS Map 441S, Garmin Echo 150 Sounder, West Marine VHF....Includes EZ Loader Trailer! 2003 Aquasport 190 Osprey The Aquasport 190 Osprey features a solidly engineered helm with a molded footrest, stainless steel grab bar, windscreen and lockable storage. Rods stay securely tucked away under the gunwale, with horizontal racks to port and starboard. Insulated storage under the forward casting platform keeps things clutter-free. There's also a forward console seat with livewell and raw water pump. 2004 Aquasport 190 Osprey The Aquasport 190 Osprey features a solidly engineered helm with a molded footrest, stainless steel grab bar, windscreen and lockable storage. Rods stay securely tucked away under the gunwale, with horizontal racks to port and starboard. Insulated storage under the forward casting platform keeps things clutter-free. 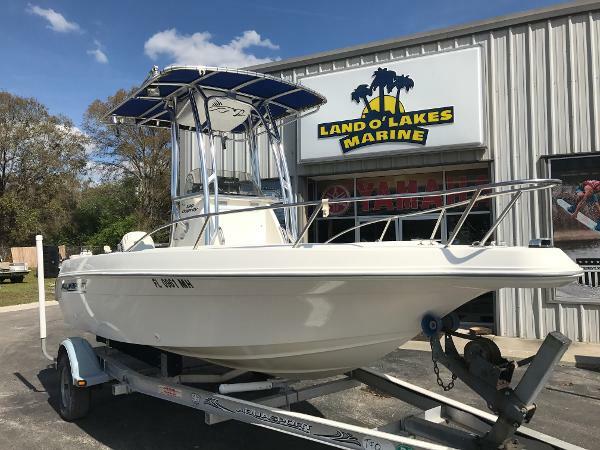 There's also a forward console seat with livewell and raw water pump .2004, AQUASPORT INC. Fiberglass, 190 Center Console, OSPREY, TOURNAMENT EDITION, 20', Boat & Motor. 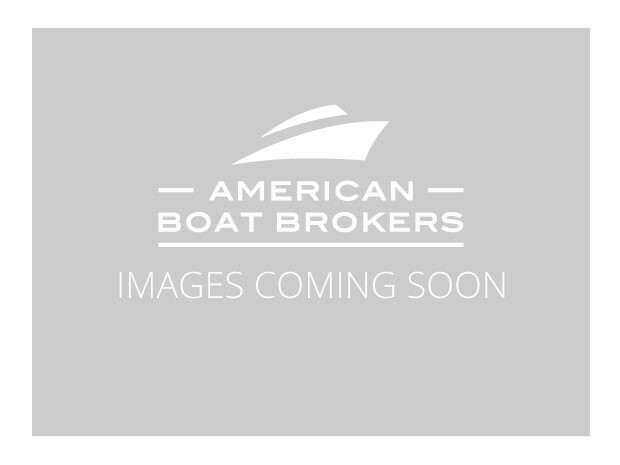 OPTIONAL: Trailer Available 2015, VENTURE, Call For Pricing. Measurements: Length: 20' Beam: 6'9" Dry Weight: 1,995 lbs. Capacity: 6 Persons / Or 900 lbs. Fuel: Gas Port Side Fill Engine: Yamaha HP: 115 V-4, 2 Stroke Prop: 3 Blade Aluminum FEATURES: Tournament Edition Tournament Gold Lettering & Decals Stainless Steel Steering Wheel Windshield And Grab Rail Around Center Console Instrument Cluster Yamaha Multi-Function Gauge Oil Pressure Gage 12 Volt Plug In For Cell Phone Or Spotlight Dash Mounted Compass Lockable Glove Box All Seat Cushions In Good Shape Rod Holder Storage In Side Walls Electric Horn Yamaha Shifter With Power Trim & Tilt Stainless Steel Bow Rail Large Clean, White & Black Rubber Rub Rail Custom C C Cover And Twin Seat Covers No Bottom Paint Racked Stored In & Out Storage Electric Bilge Pump Toggle Switches At Dash, Accessories, Horn, Nav Lights, Live Well Running Lights And Anchor Light Fiberglass Floors Center Console With Seat Up Front, Livewell Anchor Locker Storage Locker Fish Locker Lots Of Rod Holders Boarding Ladder Grab Handel Stainless Steel Cleats Recessed OPTIONAL: 2015, VENTURE Trailer AVAILABLE Call For Pricing.